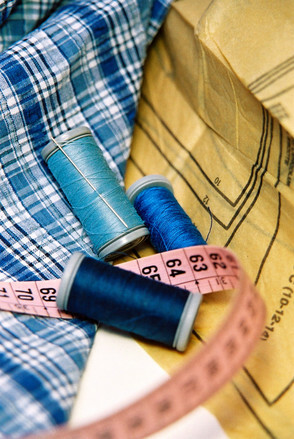 In fashion manufacturing, there are three essential phases: design, production, and sales. They all play an equally important role in the entire process of manufacturing, from concept to consumer. Without the designs, there would be nothing to produce or sell; without sales, the designs wouldn’t be produced and there would be no product. And sales would not be successful at all if orders weren’t produced correctly and delivered on time. Production is integral to the entire process. Once orders have been placed, production needs to be underway in the most effective way that suites the manufacturer. This is where production planning comes into play. A manufacturer needs to decide, based on orders already placed or expected orders, how much of each garment should be produced in each style. Many manufacturers decide to begin production before they even show at market. They can do this based on sales forecasts, while others prefer to wait until after they have made their sales. The manufacturer needs to decide which philosophy of production planning he/she feels is the best way to go. These two philosophies are: cut-to-order and cut-to-stock. This is probably considered to be the safest method of production. It means exactly what it sounds like: to cut and produce only according to orders. What this means is that the manufacturer waits to receive all orders placed from the sales team, and then works quickly and efficiently to cut, sew, and deliver the finished products to the customer. This method of production is generally an option reserved for the high-priced designer and couture garments, as well as the new additions to a fashion line where sales forecasts are a little more difficult to come up with. This method is considered to be a little more riskier because it is producing based on estimates from projected sales. These sales projections and forecasts are determined by the mood of the economy of the time, any sales histories from customers, the season, and any strengths of the line. The cut-to-stock method of production is sometimes necessary for the basics of the line; staples that you know will always be ordered. And this also allows for production to be spread over a longer period of time instead of cramming everything into a few months of production. This also helps with fabric orders that require longer lead times and any other types of material orders that require lead times, and this helps to ensure that any imports will arrive when needed. Which philosophy works best for you? Here is a full list of manufacturing connections to help.